After a long hiatus while waiting for the city’s procurement process* to be completed, ADOA has finally reconvened, elected a new board (please welcome Alexia Vullis to our executive committee! ), and received updates regarding the status of our park. According to the Park’s Department Capital Project Tracker, a contract has been secured and construction is set to begin in April 2018 (with completion of the project in April 2019). In response, ADOA’s executive committee is increasing our meeting schedule and will begin strategic planning for the park’s future. We hope to have more information for the community soon. 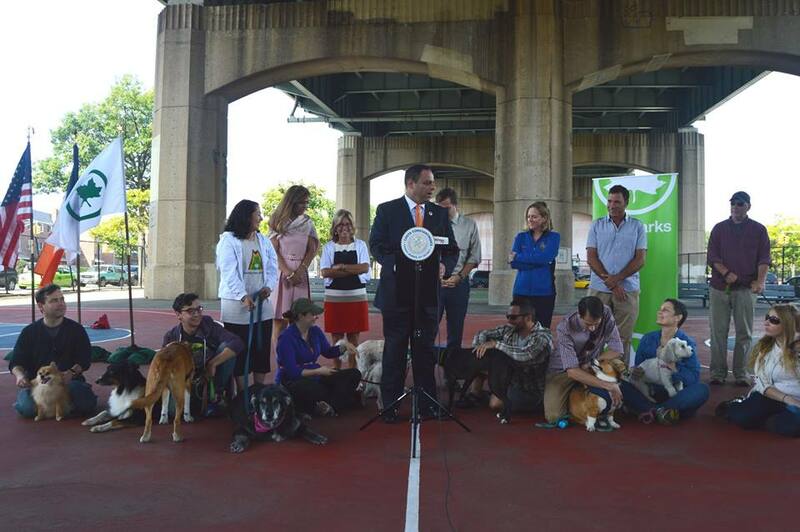 Thank you to all the dog owners in Astoria, and all of our supporters, for the patience while we wait for the park to finally be built. We know it has been a long wait, and we are just as excited to see this project completed as anyone! *the search for, hiring of, and completion of contracts with a contractor who will build the dog run for the city. Join us tomorrow night at the Bohemian Beer Hall for a meet and greet style meeting over a beer! We will also take some time to fill the public in on our latest news, and holding sign ups/nominations for our executive board (if you are interested in holding a position, you may sign up or if you know someone, nominate them; official voting will be held at our next ADOA meeting). Please join us!!! We welcome all dog owners, people who work with dogs, or people who just love dogs. Have a drink, meet other local dog owners, and help us make Astoria a more dog friendly environment, and a better place for us all! Want more info? Check out our Facebook page event! Big Announcements- A press conference, a final budget, and more. 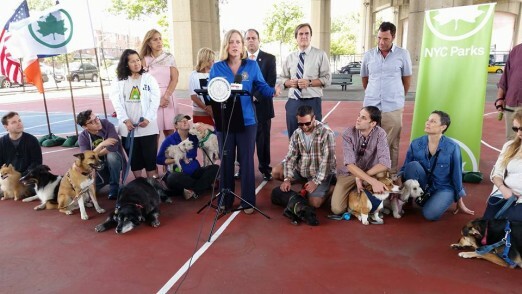 On Friday, September 25th, Astoria Dog Owners Association joined Council Member Costa Constantinides, Queens Borough President Melinda Katz, State Senator Michael Gianaris, Parks Department representatives, Old Astoria Neighborhood Association, and the Astoria Park Alliance at a press conference (the press release can be found here), to officially announce that Astorians will be getting their very first dog run. We have been incredibly grateful for our public officials’ generous allocation of funds towards this initiative, and are proud of our community for pulling together and making sure our voices were heard. 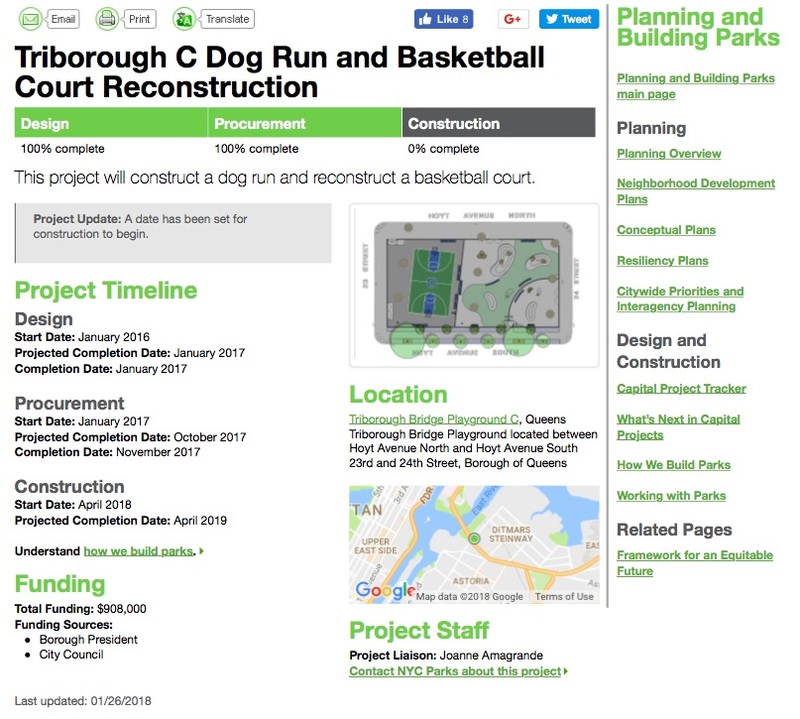 With a budget of $1M (between the $500,000 allocated thanks to participatory budgeting and our Councilman, and an additional $500,000 from our Borough President and State Senator), we will certainly be able to build a state of the art dog run that Astorians can be proud of, and more importantly, feel safe bringing our dogs to. While the estimated cost sounds quite large, we have been told by our officials that issues such as water access will be expensive to resolve, and we trust their expertise on the matter of funding these projects. The next steps will be for the city to begin the bidding and design phase, and then to receive community feedback. Astoria Dog Owners Association will be working closely with the city, especially during the feedback stage, to ensure the needs of our community are met by the approved design. We have been told the estimate for the opening of the park could be a couple of years out, but we will be keeping the community advised. Astoria Dog Owners Association is very excited to sit down with all parties involved and begin moving this project we have all fought so hard for forward. About a year ago, our community met in a back room at a local beer garden to discuss a petition put together by our chairman Bill Peloquin. Today, we are finally on the verge of getting a dog run built here in Astoria. What a difference a year and a lot of hard work makes. And we wouldn’t be here without all of you. Thank you everyone for helping make a difference!